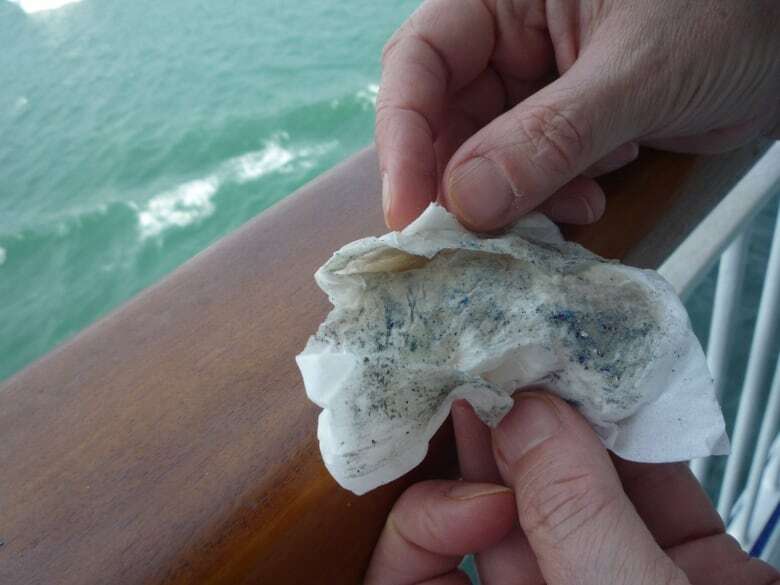 The Norwegian Sun had just pulled out of port in Miami in mid-March for a 15-day cruise through the Panama Canal when passengers started noticing the sound of grinders and hammers as the air was filled with dust from decks being sanded down and resurfaced. Matters didn't improve. The Norwegian Sun had just pulled out of port in Miami in mid-March for a 15-day cruise through the Panama Canal when passengers started noticing problems on board. Notices began going up closing off parts of the massive cruise ship. The sound of grinders and hammers grew louder, and the air was filled with dust from decks being sanded down and resurfaced. "We found that a lot more areas were being cordoned off," complained Charlottetown resident Harley Richardson, who was travelling with three other couples from Prince Edward Island. 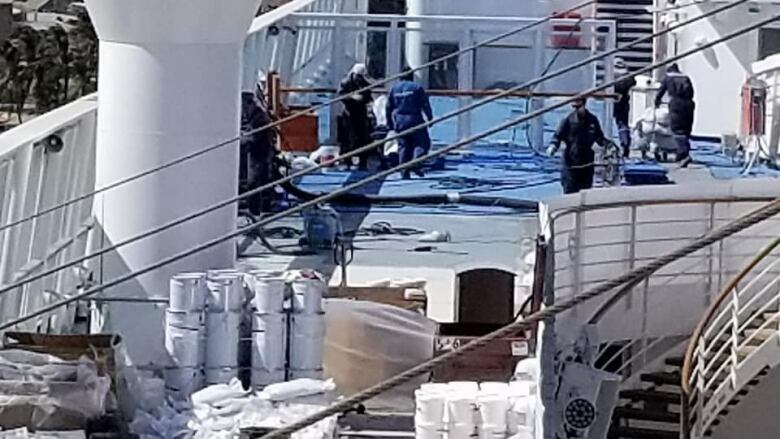 "And we saw more and more workers wearing respiratory protection equipment working around the ship." Richardson, who has taken several cruise vacations, said what he witnessed went well beyond normal maintenance. He said the work being done was not only irritating — it was downright dangerous to the paying passengers on board. "It did very much concern me that the residue from the grinding and the sanding which was blowing and collecting everywhere was also getting in our lungs," he says. "There's a potential for health hazard there." 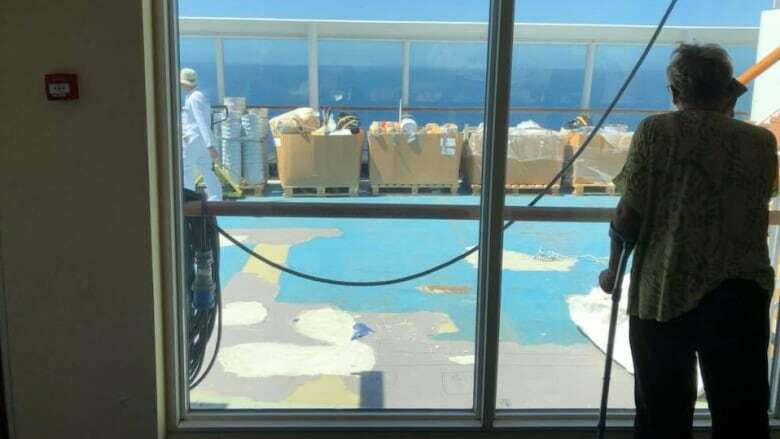 Some passengers say they had to visit the ship's infirmary for breathing problems, only to be charged by Norwegian Cruise Lines for the visit. Trish Vale said she felt duped after spending tens of thousands of dollars to gather 11 family members, including her 81-year-old mother, two sisters and five children, on the cruise. She noticed things were amiss on the second day of the trip when she took the children to a kids pool only to find it closed. From there, she said, things got progressively worse. "It was the noise of the construction, and it was also the smell of the construction and the debris from the construction that also added insult to injury." Midway through the cruise, she said, passengers had grown so angry that a meeting was organized in the observation bar, which quickly became unruly. About 500 people gathered to confront the captain with their complaints and demand compensation. "People started yelling the various things that had happened to them, whether it was the noxious fumes in the hallway, whether it was the dust in people's eyes, whether it was the inconvenience of having various parts of ship closed, or whether it was just the lack of ownership of taking responsibility for the decision that was made to close a lot of the ship," Vale said. The captain eventually stormed out, she said, which added even more to the passengers' anger. "The meeting became even more amplified, because by this point the passengers were really angry that the person they felt would actually be able to do something about all the construction that was happening was gone." 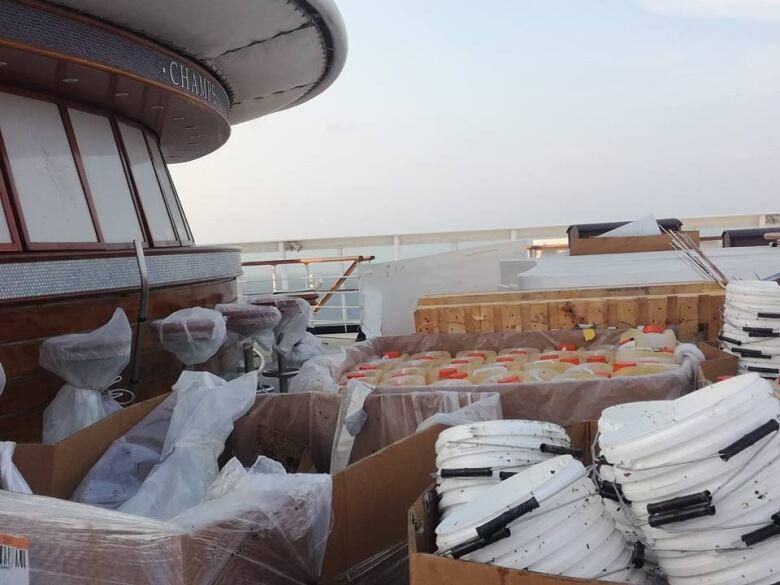 After docking in Los Angeles on March 31, some of the passengers reached out to lawyer Jim Walker, who is based in Miami and specializes in cases involving cruise ships. He also writes a blog on cruise ship law. In this case, he said, most passengers have little recourse. "The cruise lines have a real home field advantage," he said, pointing out that since the cruise lines are based in Miami, any legal case against them has to be filed in that city, which makes it cumbersome for passengers from around the world. "They have to come to Miami to pursue their claims." After that, he said, all passengers would be able to claim is the cost of their ticket, unless they can prove they were injured by the construction. Still, he called the experience of passengers on the Norwegian Sun "outrageous." He said doing the renovations while the ship is sailing with almost 2,000 people aboard is based on staying profitable. "They need to keep cruising and to sell the excursions, to sell the alcohol, to have the casino sales and gift shops and specialty restaurants, and so a lot of times they try and do the maintenance — which is really more properly done in a dry dock — at sea." Norwegian Cruise Line declined to do an interview with CBC News, insisting instead on responding to a list of written questions. However, in its reply Norwegian did not answer any of the questions posed, instead issuing a statement. 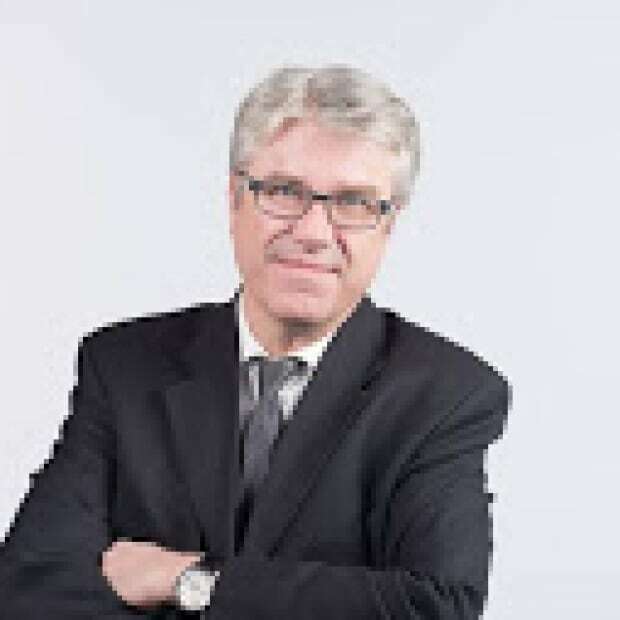 "At Norwegian Cruise Line, we continuously aim to offer the best vacation experience for all our guests," the statement said. The company acknowledged "enhancements" were happening during the cruise and that some guests "experienced some inconvenience." The statement concluded that guests have been offered a 25 per cent discount on their next booking with Norwegian Cruise Lines. But that offer is only valid for one year. Trish Vale said it's the same offer that was made to passengers following the angry meeting midway through the cruise — an offer she expected few passengers are likely to take. "Very few would be going on Norwegian Cruise lines again because of what happened."